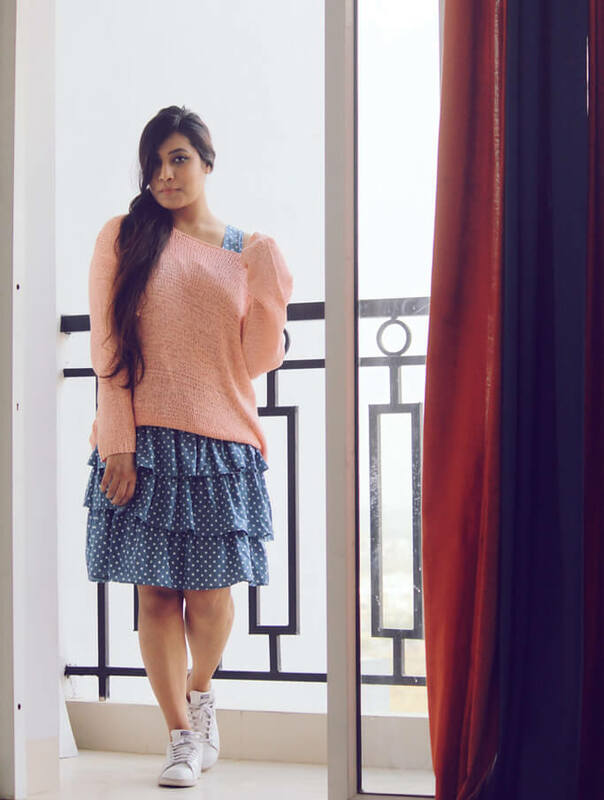 I’m back with another blog post that I m doing about polka dot. Yess! polka dot. From childhood till now, I have always felt fancy towards it. From tie to saree, from dresses to hair band we can find this print everywhere. I thought it would be awesome if I can show you some ways to wear this print. Polka dot prints are effortless and can be added from chic to vintage look. 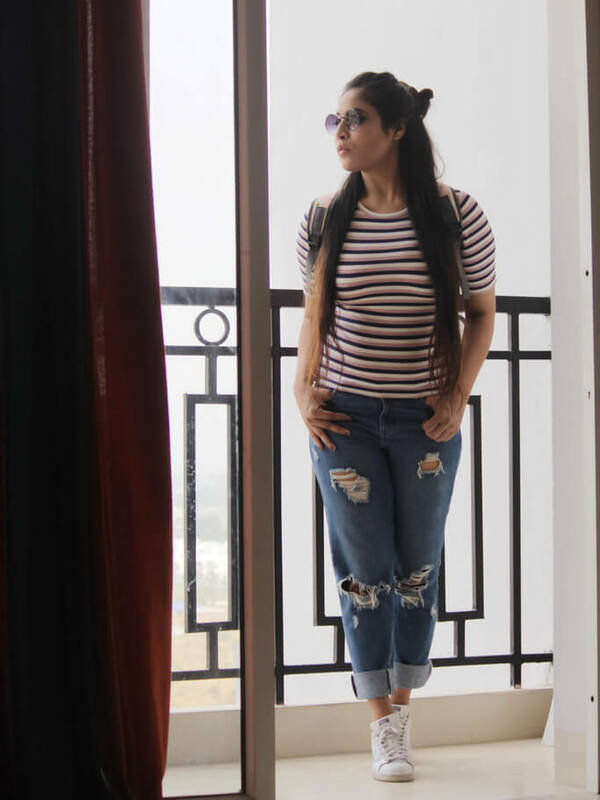 So here, I m going to show you 5 ways to wear this cute print that I m going to post in 3 sections i.e. For the first look as this will be our college lookbook, I want to make some very casual styles. 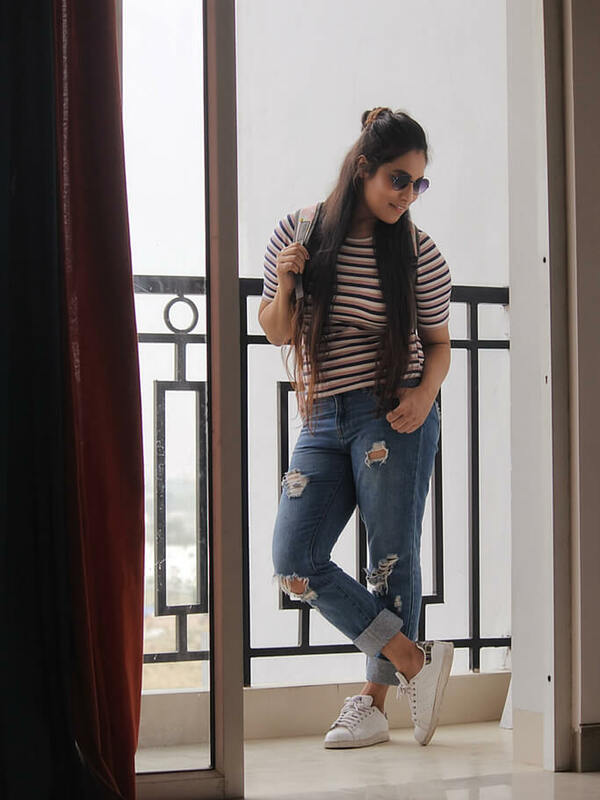 I wore my favourite rugged jeans only with peach & blue stripe t-shirt which I bought from Forever21 and matched with white Adidas Stansmith sneakers. Now you all must be thinking, where is Polka dot print in this look. 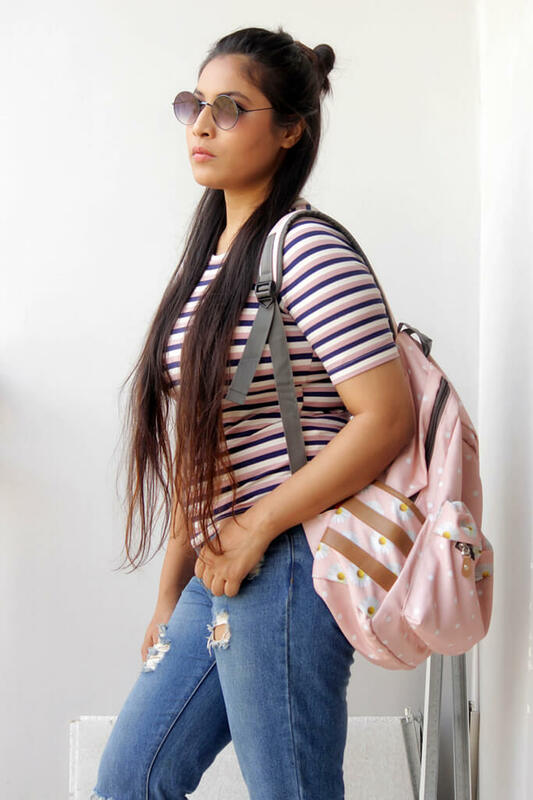 Come on, guys for college lookbook how can we complete the whole look without a backpack? Yes, my darlings backpack!! 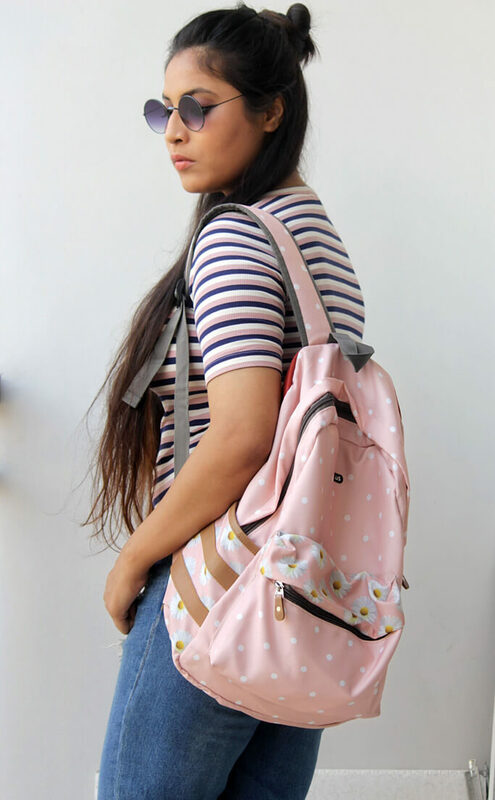 This baby pink cute polka dot print bag is my favourite gear to take on & it goes with my outfit so well. You all know, this print has no limits. You can wear this print on your bag also and make your cuter look than you think. For hair & makeup, I made half bun and did my basic makeup routine like little bit BB cream, some mascara and neutral shade lipstick, you’re ready to rock in your college. 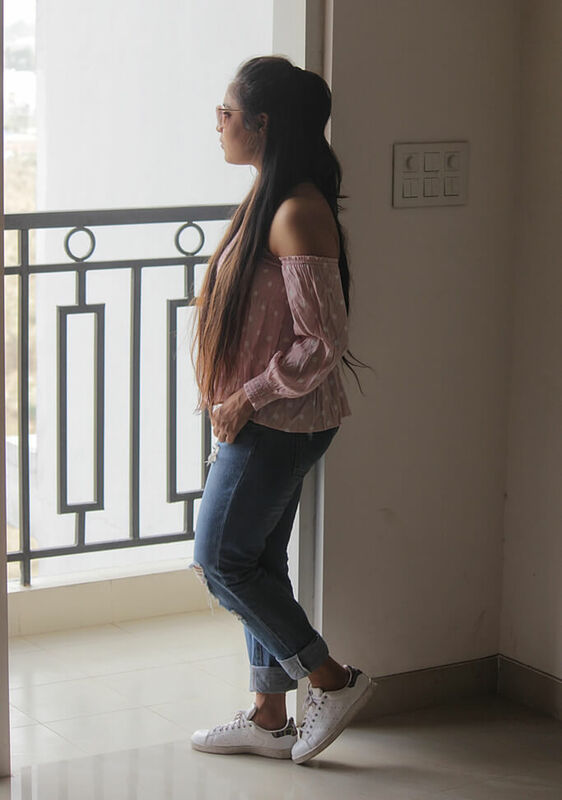 In the 2nd look, I wore same jeans as I wore in the previous look, I matched it up with off shoulder pink top, which has polka dot print all over the top. 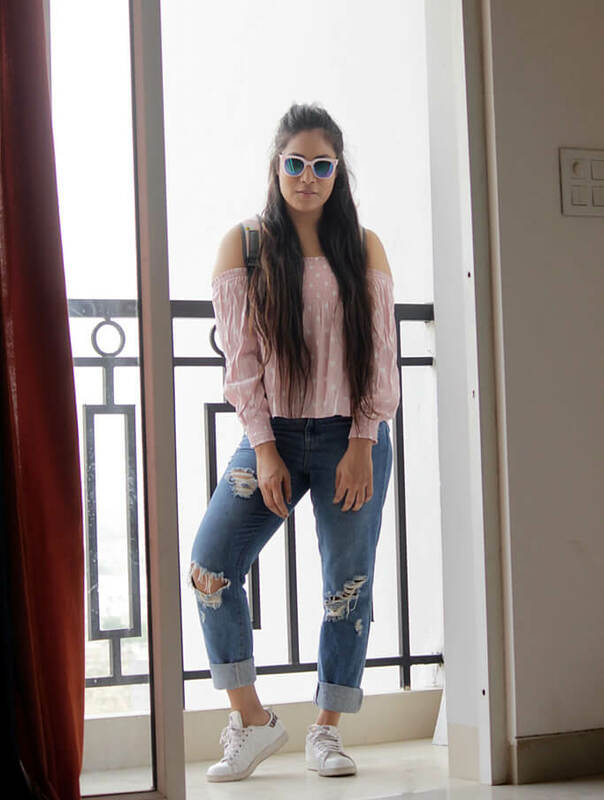 These days off shoulder tops are in trend. They have the modern touch with feminine feel and looks cute on every girl. I only change my hairstyle, I made a high ponytail with half section. For making this look funkier, I added this pink wayfarer. What’s better than white sneakers for a casual look, so I had to take my stansmith to complete the look. Dresses are always the best option for summers. And with polka dot print, they look cuter and funky. 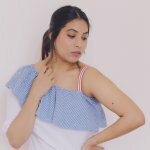 I have bought this Greg white polka dot ruffled dress in just rupees 400 from Myntra in sale, but when I tried this dress I thought it would be cool to wear it with my oversized off shoulder peach coloured top. 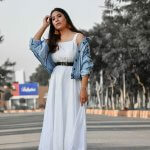 On a side note, If you want to wear your one dress in multiple ways, you can wear your dress with cool printed crop t-shirts or oversized loose t-shirt. For giving a soft look I’m making a low ponytail with neutral makeup. I love this dressy but effortless soft look for college. 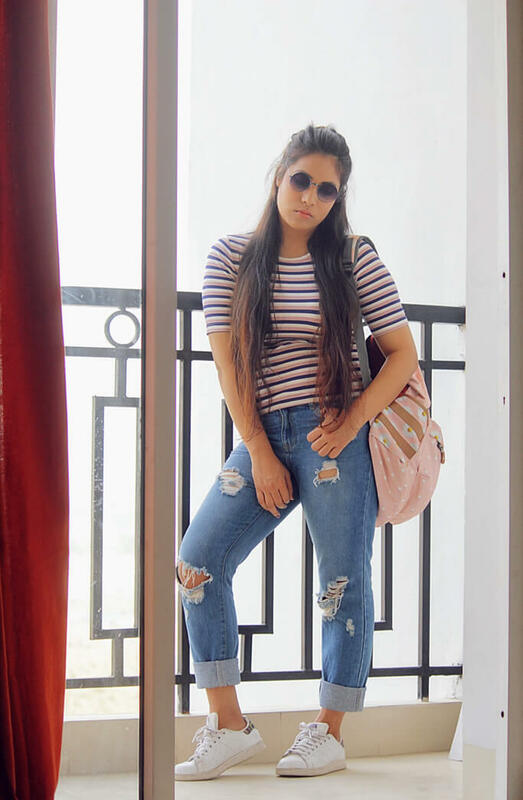 Make sure, you always wear comfy shoes because we all know we have to run all day long in college, so white sneaker is always yes for comfort as well as for cool look. So, guys, this is all for college lookbook in polka dots, stay tuned for more. I’m going to post on alternate days. Keep visiting.